Looking for a tear-jerking, hilarious movie to watch? “3 Idiots” will guarantee you lots of laughs and an overall exciting movie experience. 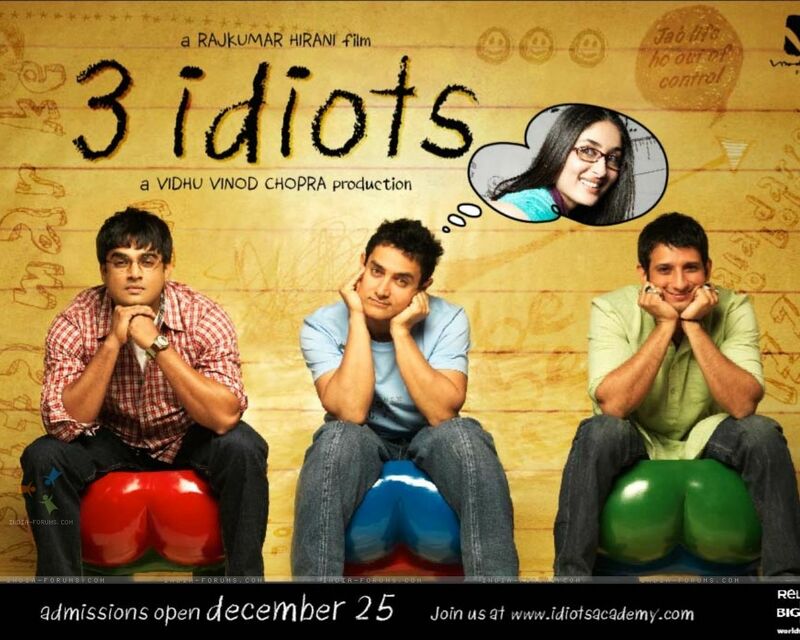 3 Idiots is an Indian movie that give you a classic Bollywood feeling with its dancing and music. It is a 2009 film (so it’s not in theatres anymore) that has received a score of 100% on Rotten Tomatoes! I wasn’t too sure about this movie when I first started watching it because of the odd and corny beginning but as it the plot progressed it proved to be a very funny yet touching and relatable story. The movie is about three students attending a strict engineering college where they try to follow their dreams under the pressure that their professors and parents have put on them. They come across many challenges in which they must count on their wits to succeed.